Update: As of September 2016, the Red Sofa Salon is no longer offering poetry workshops or the reading series. One-on-one writing coaching is available. Discount: Save $10 if you register by August 21st! Details: Payment is required in full before the first workshop session. You may pay by cash or check. Attendance is expected at all sessions, and partial refunds will not be offered for missed sessions. We require a minimum of 5 participants in the workshop series. If we do not reach the minimum number of participants, you will receive a full refund. Register here by August 1st. Scribbling fragments in the middle of the night. Jotting down lines on a smart phone while breastfeeding. Squeezing in a moment of reflection between paid work and caregiving. Such is the life of a mom trying to maintain some time and space for poetry in a chaotic world. Put your hectic life on pause and nurture yourself with a poetry workshop specifically designed for moms. We will join together in meditation, free writing, and reading poems that touch on themes of motherhood and the self. 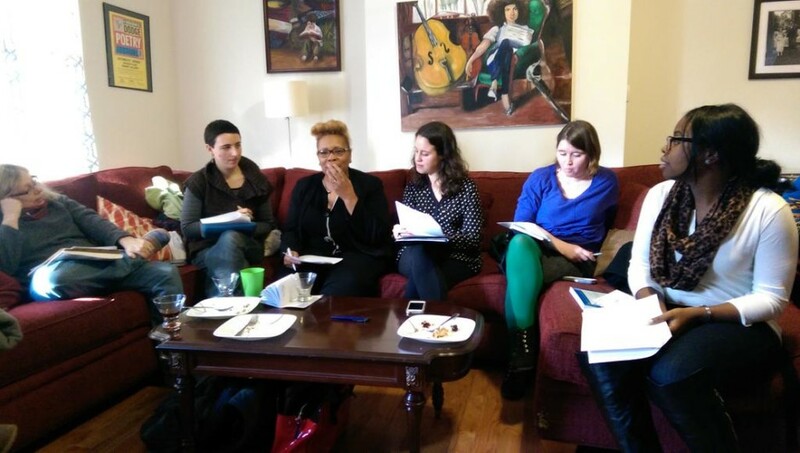 You will leave this workshop with poem drafts, a fresh commitment to your creative soul, and ideas for keeping your writing practice alive within a busy schedule. Food and drink will be provided.